I have to give my credit card to secure the booking- can i still pay cash on arrival or will the total be taken from my credit card? Here at the Oasis we just use your credit card to secure your booking. We will check your credit card but take off no money to secure the booking. The decision is up to you on arrival whether you would like to pay by cash or credit card. Can i leave my credit card data with you? No money is taken off the card unless you don’t show up on the day of your arrival. Your data is safe with us. We will never hand out any private data such as your credit card to a third party and your details are safely stored with us. I don’t own a credit card, how can i make a booking? In case you don’t have a credit card you will have to contact the hostel reception staff to place the booking. In order to secure a room for you, you will have to make a bank transfer of the amount of the first night. Please allow 5 days for this transaction. my travel plans have suddenly changed- how can i change a booking? There is no problem in changing a booking (private bookings, not group bookings). Please just contact our friendly hostel staff by email, indicating your name and date of stay and the new date you would like to stay. 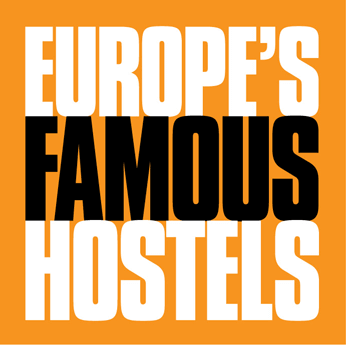 Please note that booking changes have to be done up to 24hs before arrival otherwise a charge for the first night of the hostel might be charged and/or the rest of your booking cancelled. i have totally changed my travel plans and need to cancel- can i do that? Of course you can cancel your booking with us anytime- we just hope you come back sometime soon. Please make sure you cancel at least 24hs in advance by email otherwise you might be charged the 1st night of the booking and the rest of your reservation been cancelled. What happens if i don’t show up at your hostel? We will have to charge you the 1st night of the booking and cancel the rest of your reservation. I have to print my plan ticket- can you do that for me? Of course, all of our Oasis Hostels and Lodges have printers available. Please just email your tickets/ itinaries and we will print it out for you for a small fee. My bag is full of dirty clothes- what can i do? At all our Oasis Hostels and Lodges we have a laundry service that works overnight. for a small fee. Just hand us in your clothes and you will get it back in the morning: Dry- clean and folded. I forgot my camera charger at your hostel- what do i do? At all our Oasis Hostels we keep lost/ forgot items for 1 month. That means you have enough time to get in touch with us, inform us of a shipping address and send us your credit card details so we can charge the postage and packaging charge to that card. Than we will post it to the address provided. Unclaimed items that we have stored for more than one month will be disposed off. I would like to see the alhambra when in granada but i don’t want to wake up at 6am to queue for a ticket- can you help? I want to stay in other oasis hostels- can you make a booking for me? Yes we can! Just stop by at reception and our friendly recepcionists will book you directly into the hostel of your choice- considering your requests about room size, prices and dates. A few minutes later a confirmation will have landed in your email inbox. I am organizing a school trip to andalucia and/or portugal- how can i book into the oasis hostels? For a group booking to southern Spain and Portugal, please use our group booking formular (on top left of this form). The more specific you are, the more detailed we can give you a free and fast estimate of costs. We are travelling with our kids- can we stay in the oasis hostels? Of course you can but maybe we should reserve a private room for you and your family. If you have any questions about this, please email our friendly recepionists at the front desk. What is the urban lodge? The Oasis Urban Lodge is our new concept of tourist aparments- long way from the old, shappy holiday apartment that granny used to rent out in summer. Our Apartments come with stylish furniture in a contemporay building right in the centre of Sevilla for you to enjoy your holidays in a relaxed and comfortable atmosphere.